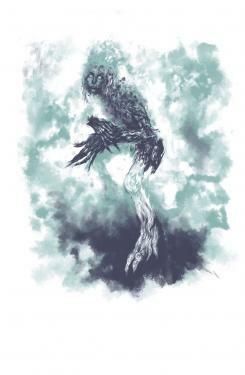 Hunter Stoke is a thorn nymph, drawn from the gnarled branches of a now lost hedgerow. He wanders the countryside at random, painting colourful dreams upon the retinas of sleeping animal's lives and extracting nightmares from their minds. He keeps these dark hallucinations in bottles around his waist. Their power his protection against the chaos of nature, for he has learnt that the world is not always a beautiful place. 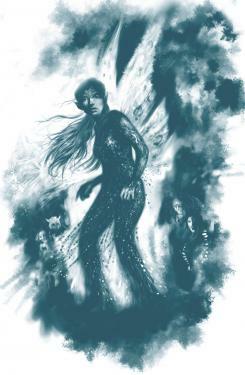 Rusty Blue is a knock kneed fairy with pretty blonde wings and a voice like gravel. Her words collide like pebbles upon the shore line, hypnotizing her followers with waves of echoes. Like the tide her beauty, her seductive green eyes; drawing you forever closer, pushing you further aside. 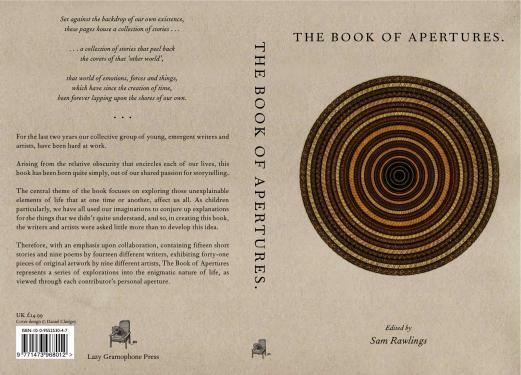 The full story can be found within The Book of Apertures. It is currently on sale within the Lazy Gramophone Shop.